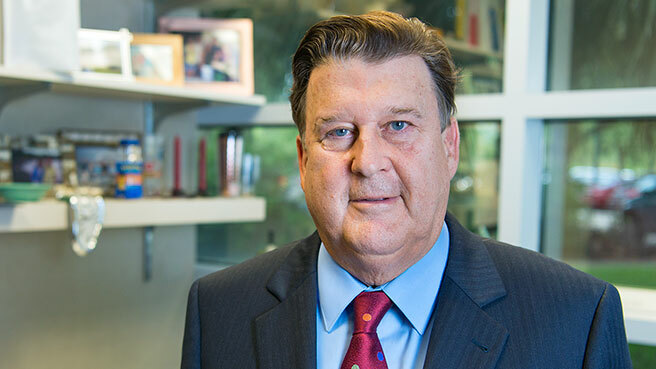 Home More Stories Advancing Critical Treatments for Stroke: Thomas Brott, M.D. Advancing Critical Treatments for Stroke: Thomas Brott, M.D. Thomas Brott, M.D., a Mayo Clinic neurologist, still vividly remembers the first moment he saw his research making a difference for patients. It was 1987, and, as a clinician, he had long been devastated to see patients suffering the immediate effects of a stroke: facial drooping, loss of language and paralysis. An article had appeared in Science about a substance capable of dissolving clots during heart attacks. At a National Institutes of Health meeting, Dr. Brott, who was then on staff at the University of Cincinnati, and other neurologists from around the country had mentioned the drug, called tissue plasminogen activator, or t-PA, suggesting it might work against clots in brain arteries. The NIH was keen on the study but with a caveat: Get the drug to patients within 90 minutes. Even so, the study managed to treat patients during the very first minutes after the onset of a stroke at the University of Cincinnati, the University of Virginia and Cornell University. And the outcomes of those patients were excellent. 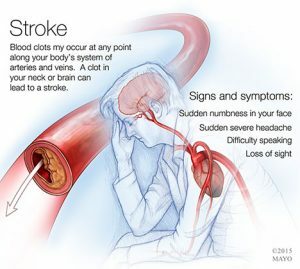 True Finding for Stroke Patients? The next step was a randomized double-blind clinical trial, in which half of patients received t-PA and the other half received an inactive agent. The study took advantage of improved technol ogy, such as faster CT scans, as well as devices that had just come on the market: carphones. Dr. Brott would receive a page from an emergency department, make calls during his drive to the hospital to prepare and mobilize the emergency department, pharmacy, labs and CTs. Dr. Brott happened to be on call at a participating hospital in the Cincinnati area when a patient suffering stroke paralysis received one of the first treatments of t-PA and saw the patient slowly regaining motion as the drug took effect. “It was breath-taking,” he recalls. The findings, that the drug was capable of dissolving small clots, were published in The New England Journal of Medicine. Today, intravenous t-PA is still the only drug available and is the standard of care for acute stroke patients with small clots. The study’s impact, however, went far beyond the introduction of a drug. It led to a major reorganization of stroke care. “The development of primary and comprehensive stroke centers, the education of first responders to recognize acute strokes, The Joint Commission’s metrics that we have in place for making IV t-PA delivery as fast as possible, it was all built on this research,” Dr. Derdeyn says. 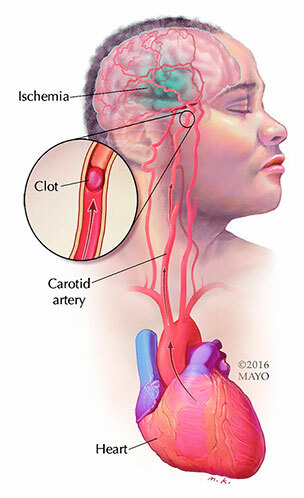 Dr. Brott, who came to Mayo Clinic’s Florida campus as a clinician-researcher in 1998, has devoted the scientific side of his career to studying numerous methods of treating and preventing strokes, including the most common type caused by clots and the less common occurrence of bleeding into the brain. He has been honored three times with awards by the American Heart Association, most recently the 2017 Research Achievement Award, which was given “for his pivotal role in the development of lifesaving interventions that have revolutionized treatment of acute ischemic stroke,” according to the AHA. “Many of the studies he has led have had international, practice-altering impact, and that’s not an overstatement,” says Robert D. Brown Jr., M.D., a Mayo Clinic neurologist, who is chair of Stroke and Cerebrovascular Diseases on Mayo’s Rochester campus. According to Dr. Brown, the power of the studies has emerged from Dr. Brott’s insight and his collaborative skills. Dr. Brott is now the principal investigator for CREST II, a seven-year trial for which he and neurologist James Meschia, M.D., received a National Institute of Neurological Disorders and Stroke grant of $39 million. This was one of the largest grants at Mayo Clinic. 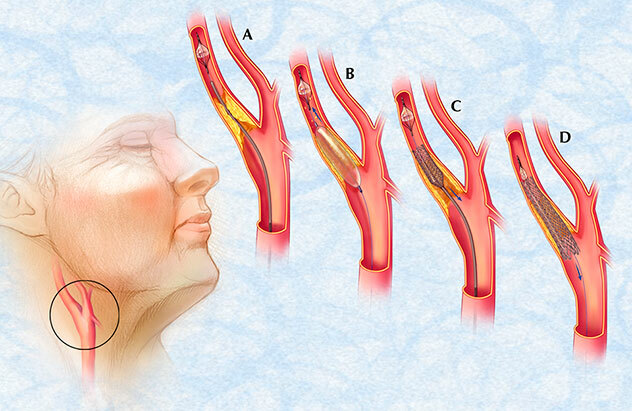 CREST II is evaluating another 2,500 patients who are asymptomatic but have 70 percent blockage of the carotid artery. This evaluation will determine whether the most effective treatment is medication, such as blood pressure drugs, statins and new cholesterol reduction drugs, or a combination of medication with the more invasive procedures of surgery or stenting. “Like his earlier studies, this has the potential for completely changing our approach and mindset, in this case about how asymptomatic carotid disease should be managed,” says Dr. Brown. For Dr. Brott, the ongoing path of his work still seems remarkable. He’s quick to note how publishing, acquiring funding, and conducting wide-reaching, impactful studies have come with a learning curve. But he’s adamant about the importance of a network.